UPDATE (March 14, 2019 at 10.04pm CST): The accident was caused by a car malfunction according to Shenzhen Traffic Police, although no details as to how the car malfunctioned have yet been revealed. We've updated the title to reflect the fact that the whole episode may have been an accident. UPDATE (March 14, 2019 at 8.55pm CST): Shenzhen Traffic Police have confirmed through their official Weibo account that one person has died and four were slightly injured after the attack, which took place at 8.39am on March 12. 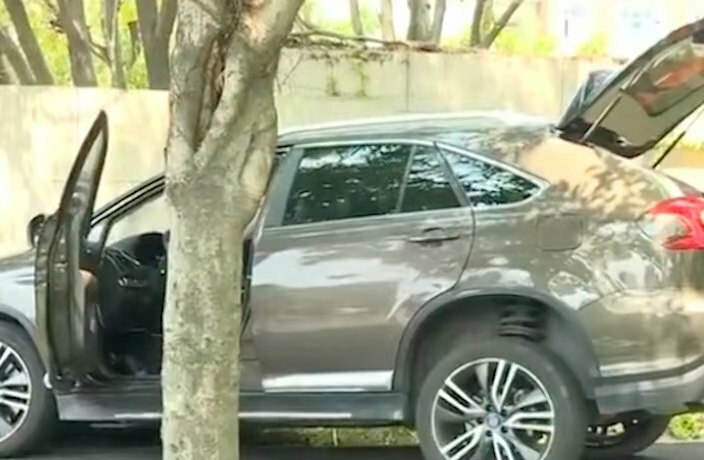 A gruesome car attack took place on Tuesday, March 12 in Shenzhen, as an SUV mounted a footpath outside the gate of Shenzhen Polytechnic’s West Campus in Nanshan District. The driver hit five separate pedestrians, all of whom were subsequently taken to Shenzhen Xili People’s Hospital after the attack, according to Shenzhen Satellite TV. The attack is currently being investigated by local authorities. Disturbing footage of the incident began circulating on Weibo on Thursday, showing the view of the footpath from inside the attacker’s car. In the video, two pedestrians, a man and a woman, cross onto the footpath and look back at the car momentarily before walking on. Seconds later the driver accelerates forward, striking the pair from behind before continuing on his rampage, striking another three people as he drove for 500 meters before crashing into a wall. A spate of car attacks have occurred in China over the past few months. Eight people were killed after a man in Fujian province hijacked a bus before plowing into pedestrians, while another man in Hunan province was executed in January after he drove a car into a crowded square, killing 15 people and leaving another 43 injured.